Challenging Assumptions. Just because we “think” something doesn’t make it true. 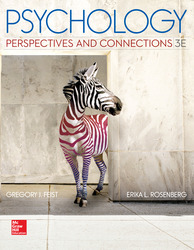 Feist’s accessible approach to science helps students challenge their assumptions, understand research, and recognize that in Psychology, it’s not all black and white.